Let me present another issue of the international peer-reviewed scientifc journal “Information and Innovations”. In course of its preparation we have chosen for publishing noticeable materials, which present novel, in fact, cutting edge scientifc ideas and analytical expert views. Repots collection of participants in in the International scientific and practical conference "Information support of science and education: scientometrics and bibliometrics"
Reports of participants in in the International scientific and practical conference "Information support of science and education: scientometrics and bibliometrics"
Since April 2006 international journal of the ICSTI «Information and Innovations” has been issued. Its appearance was conditioned on further development of the ICSTI activity in the field of information on innovation technologies. The main objective of the journal is to inform about processes taking place in science, technology and innovations in the ICSTI member states and other countries of the world, to boost entrepreneurial, innovation and technology activities, to develop stable international contacts and expand cooperation of the ICSTI members and interested partners. The journal addresses challenges facing national systems of scientific and technical information, national innovation systems and their interaction, global tendencies of innovation processes. Considerable attention is focused on small and medium enterprises and information support to commercialization of innovation projects, technologies, and products. Every issue contains illustrated descriptions of new, occasionally unique products, technologies, engineering solutions, projects and results of basic research developed and obtained by the leading laboratories, manufacturing enterprises and companies in the ICSTI member countries. There are 20—25 projects in various fields of science and technology represented in each issue. Contacts between developers and prospective customers are established directly by the Editorial Board of the journal. Contact information is free of charge for subscribers interested in. We regularly publish materials dedicated to current the ICSTI activities, events taking place in its headquarters, the national organizations, activities of international structures in the field of innovations and technology transfer. The journal concept is based, in particular, on the experience of "F&F Consulting Co.", which published the journal “Russia and the World: Science and Technology” during 1993—2005 under the aegis of the Ministry of Education and Science of the Russian Federation. 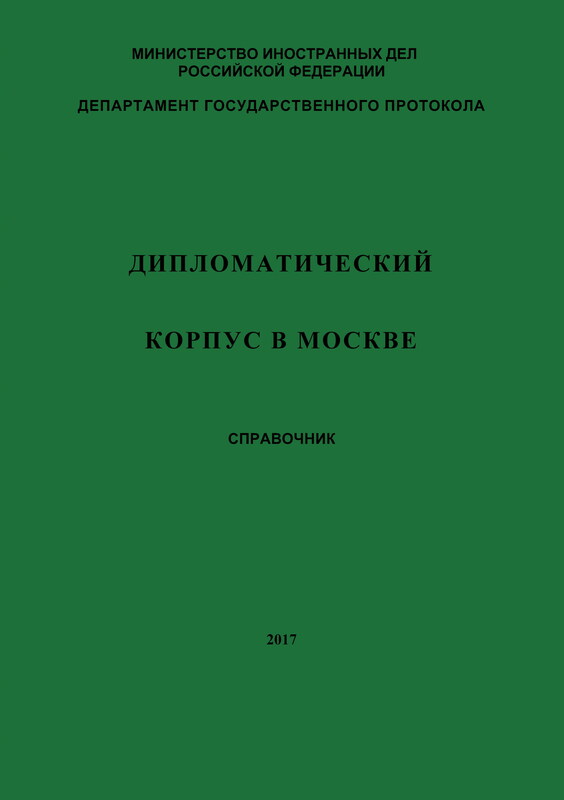 The journal has been registered in the Federal Service of Supervision of Legislation in Mass Communications and Protection of Cultural Heritage of the Russian Federation (Registration Certificate ПИ №ФС77-27294 of 22 February 2007), ISSN 1994-2443. The reference book is prepared by the State Protocol Department of the Ministry of Foreign Affairs of the Russian Federation and published by the International Centre for Scientific and Technical Information (ICSTI). · List of national holidays dates in foreign countries. The Reference Book is available at ICSTI for 500.00 Rubles per copy. Minimum cost of a mail order (small parcel) within Russia is 50.00 Rubles per copy. In accordance with the decision of the 63rd sitting of the Committee of Plenipotentiary Representatives of ICSTI member states, ICSTI headquarters with assistance of members of ICSTI community a joint information and analytical collection “Agro-industry: challenges and innovative solutions” was implemented in May 2013. The content of the collection focuses on issues and present developments of a theoretical and practical nature in the field of agribusiness in ICSTI member and partner countries, monitors and assesses their contribution to finding solutions in problem areas. The collection reflects results of R&D activities of scientific, educational institutions, organizations of the innovation sphere from Azerbaijan, Belarus, Georgia, India, Kazakhstan, Moldova, Mongolia, Russia, Romania, Ukraine and Czech Republic. The publication consists of separate national divisions for each contributing ICSTI member state and partner-country. Each division will consist of two parts: a theoretical and conceptual section and a reference section. It presents analysis and research results of experts from governmental agencies of ICSTI member countries, other organizations related to the agribusiness sphere. In accordance with the resolution of the 62nd sitting of the CPR of ICSTI member states in 2012, ICSTI headquarters would like to present an international information and analytical collection «Issues of modern applied materials science», the fifth edition within the series «Innovation processes in ICSTI Community», featuring papers contributed by researches from ICSTI member states. The relevance of the subject chosen for the collection is evident. Modern material science as an interdisciplinary discipline is called to support scientific and technological progress and sustainable development of economies through introduction of novel high-quality materials with increased operational reliability, contributing to increased application of energy-saving technologies, resource base expansion, development of equipment with improved characteristics. The collection presents analytical materials and research results in material science provided by experts from scientific, educational and innovative organizations in ICSTI member and partner countries: Azerbaijan, Belarus, Georgia, Moldova, Romania, Russia, Ukraine, South Africa, Slovakia, and the Czech Republic. It is important to note that the authors of submitted articles highlighted issues close to their research interest and related to progress in particular areas of science and technology achieved in their countries. In accordance with the decision of the 61st sitting of the CPR of ICSTI member states in the first half of 2011 by ICSTI Headquarters with assistance of National focal points and organizations-members of Innovation promotion network (IPN) project - preparation and presentation on the 62nd sitting of CPR of the international information-analytical collection “Issues of pure water obtaining and innovation methods of theirs solution” - the fourth edition in the cycle of collections under the general name “Innovation processes in ICSTI community” was realized. The content of collection is targeted on examination of the issues of available water resources and obtaining of pure water, their monitoring, legal issues in this sphere and contribution to their solution from the side of the scientific-technological community of ICSTI member states. Analytical materials and results of studies of specialists from the sphere of state administration of ICSTI member states, scientific, educational and innovation organizations, which are specialized in the sphere of water resources and pure water are presented in the collection. In accordance with the decision of the 59th sitting of the Committee of Plenipotentiary Representatives of ICSTI member states ICSTI headquarters in collaboration with national contributors have prepared a second collection of analytical papers “Environmental challenges and solutions” within a series of publications under a common title “Innovation processes in ICSTI community”. The relevancy of the publication subject is testified by a dramatic growth of the highly-industrialized society, which we have been witnessing in the past decades, and as a result - growing destructive human interference into nature, diversification of this interference, threatening to become a global danger for the whole humanity. Consumption of non-renewable natural resources is on the rise, loss of arable lands continues in mounting volumes. The Earth’s biosphere is subject to an increased anthropogenic impact, within which several processes of extreme environmental damage can be identified. The most large-scale and devastating of such is chemical pollution of the environment with gas or aerosol pollutants of industrial and household origin. Accumulation of carbon dioxide in the atmosphere is growing and contributing to the escalating trend of annual temperatures on our planet. Environmentalists are concerned with the continued pollution of the World Ocean with oil and oil products, which according to recent assessments is taking up to 1/5 of its surface. There are no doubts about the detrimental effect of chemical pollution of soil with pesticides, its increased acidity which lead to disintegration of ecosystems. The above and other factors produce a significant effect on the biosphere processes. All the above mentioned trends are topical for environment of ICSTI member states. Therefore, the objective of the collection was to address environmental problems, issues of environment protection and monitoring, to study legal aspects in this sphere and contribute to their solution from the side of the scientific and technological community of ICSTI member states. The collection features analytical materials and results of studies of specialists from Government authorities, research and educational organizations, innovation companies, specializing in environment protection from ICSTI member states and other countries, in particular, Republic of Azerbaijan, Republic of Belarus, Socialist Republic of Vietnam, Georgia, Republic of Kazakhstan, Russian Federation, Romania, Ukraine, Republic of South Africa and Republic of Italy. The collection consists of national sections for each participating country. The papers in the collection cover such issues, as governmental policy in the field environment protection in ICSTI member states and other countries, national and regional problems of environment and environment protection, governmental incentives to solution of environmental problems, human effect on nature, environment and human health and many more. A lot of attention is dedicated to practical realization of environmental policy in ICSTI member states, represented in developed technologies or innovation products solving to a certain degree environment protection problems in a particular country or region. In accordance with the decision of the 58th session of the Committee of Plenipotentiary Representatives of ICSTI member states, ICSTI headquarters have prepared the information and analytical collection «Status of national innovation systems» based on materials from ICSTI members. 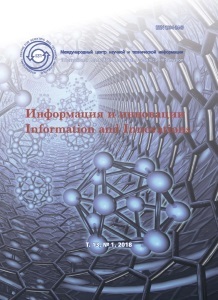 This is the first publication in a series of collections under the title «Innovation processes in ICSTI Community». The effort was motivated by increased ICSTI activity in providing information, organizational and consulting support of innovation processes. The collection presents materials from several ICSTI member states: Republic of Bulgaria, Republic of Kazakhstan, Republic of Moldova, Romania, Russian Federation, Ukraine, from Republic of Azerbaijan, expected to become a member of ICSTI at the upcoming 59th sitting of the CPR, as well as from the Czech Republic prepared by the Association of Innovation Entrepreneurship of the Czech Republic, a long-term ICSTI partner. The collection reviews the challenges of scientific and innovation policy of the countries presented, considers issues of monitoring science and innovation spheres development, legal aspects. Special attention is devoted to the problems and trends in development of national innovation systems (NIS) in the Community of ICSTI member states. novation companies the NIS are now be regarded as a system that includes all components of the social and economic structure of society. The collection presents results of studies carried out by specialists from ICSTI member states representing the sphere of Government administration, scientific, educational organizations, organizations of the innovation sphere, which in the majority of cases operate as ICSTI national focal points. The collection consists of separate divisions dedicated to selected ICSTI member states. The presented articles provide full or accentuated coverage of the basic issues and problems related to innovation activity, for example, such as the national innovation model of development of the economy of a specific country, institutional profile of the innovation system, Government policy regarding the NIS, its targets and tasks, directions and stages of the NIS conversion, and stimulation of innovation activity. The authors representing different countries revealed close interrelation of the NIS elements: small and large innovation firms, universities and state scientific research centers, governmental and regional officials, innovation infrastructure entities, financial markets and others. The collection articles highlight interaction of public and private sectors in the R&D field, creation of conditions for encouraging innovation activity of enterprises, in particular, development of innovation entrepreneurship in the sector of SMEs. They offer statistics on a wide range of indices characterizing the state of NIS in ICSTI member states. With account of the national specifics of concrete countries, one of the primary goals this collection was to archive stemmed from the fact that globalization processes in modern society, in particular, those illustrated by experience of European countries in integrating resources in science and innovations, lead to formation of common global economic and scientific areas. This means that creation of an effective NIS is impossible without insight into world trends and experience of other countries. In this connection, publication of this collection which to a certain degree integrates experience accumulated by ICSTI member states, can contribute to creation and development of NIS in these countries. Pilot Russian issue of INIS Newsletter available upon request from ICSTI, marina@icsti.su , tel. +7-499-1987441 / 1987021, fax +7-499-9430089/ 9431511, Dr. Marina Tumanova, INIS ILO Officer. Вышел из печати очередной выпуск международного научного рецензируемого журнала МЦНТИ «Информация и инновации». Публикации исследователей из Азербайджана, Молдовы, России представлены в тематических разделах: «Информационные процессы», «Библиометрия и наукометрия», «Экономика и инновации». Международная конференция «Информационная поддержка науки и образования: наукометрия и библиометрия» Москва, Россия, 21-22 сентября 2017 г. C апреля 2006 г. выпускается международный журнал МЦНТИ «Информация и Инновации». Его появление связано с дальнейшим развитием деятельности МЦНТИ в информационной и инновационно-технологической области. Основные задачи журнала — информирование о процессах, происходящих в научно-технической и инновационной сферах государств-членов МЦНТИ и других стран, содействие развитию предпринимательской и инновационно-технологической активности, формирование устойчивых международных связей и расширение сотрудничества государств-членов МЦНТИ и заинтересованных партнёров. В журнале анализируются проблемы национальных систем научно-технической информации и национальных инновационных систем, а также их взаимодействие, мировые тенденции в развитии инновационных процессов, уделяется внимание малому и среднему инновационному бизнесу и информационной поддержке продвижения на рынки инновационных проектов, технологий, продукции. Каждый выпуск содержит иллюстрированные описания новых, порой уникальных продуктов, технологий, технических решений, проектов и результатов фундаментальных научных исследований, разработанных и полученных ведущими лабораториями, производственными предприятиями и компаниями государств-членов МЦНТИ. В каждом выпуске представлено 20—25 проектов в различных областях науки и техники. Установлением связей разработчиков с потенциальными потребителями занимаются непосредственно члены редакционной коллегии журнала. Заинтересованным подписчикам бесплатно предоставляется контактная информация разработчиков и авторов статей. Постоянно публикуются материалы о текущей деятельности МЦНТИ, событиях, происходящих в штаб-квартире Центра, национальных организациях, деятельности международных структур в области инноваций и технологического трансфёра. При разработке концепции журнала использовался опыт экспертно-консультационной фирмы «ФиД», выпускавшей с 1993 по 2005 год под эгидой Министерства образования и науки Российской Федерации журнал «Россия и мир: наука и технология». Журнал зарегистрирован в Федеральной службе по надзору за соблюдением законодательства в сфере массовых коммуникаций и охране культурного наследия Российской Федерации (регистрационное свидетельство ПИ №ФС77-27294 от 22.02.2007), ISSN 1994-2443. М., 2017 г., 258 стр., формат А-5, обложка мягкая. Справочник подготовлен Департаментом государственного протокола Министерства иностранных дел Российской Федерации и издан Международным Центром Научной и Технической Информации(МЦНТИ). - перечень национальных праздников иностранных государств (по месяцам года). Стоимость 1-го экземпляра – 500 рублей. По вопросу приобретения Справочника просим обращаться в Директорат научных коммуникаций и общественных связей МЦНТИ. АДРЕС МЦНТИ: 125252, Москва, ул. Куусинена, д. 21 б.
КОНТАКТНЫЕ ТЕЛЕФОНЫ: 8 (499) 198-70-21; 8 (903) 650-36-62. В соответствии с решением КПП-63 штаб-квартирой МЦНТИ при содействии стран Сообщества МЦНТИ подготовлен к маю 2013 г. и представлен на КПП-64 информационно-аналитический сборник «Проблемы АПК в странах Сообщества МЦНТИ и инновационные пути их решения». Содержание сборника ориентировано на рассмотрение проблем и представление разработок теоретической и практической направленности в области АПК в странах-членах МЦНТИ и странах-партнерах, мониторинг и оценку их вклада в решение этих проблем. В сборнике отражены результаты исследований и разработок научных, образовательных организаций, структур инновационной сферы из Азербайджана, Беларуси, Грузии, Индии, Казахстана, Молдовы, Монголии, России, Румынии, Украины и Чехии. Сборник сформирован в виде разделов по странам-членам МЦНТИ и странам-партнерам. Каждый раздел содержит теоретико-концептуальную и информационно-справочную части. Представлены аналитические материалы и результаты исследований специалистов из сферы государственного управления, других организаций, специализирующихся в сфере АПК. В соответствии с решением КПП-62 заседания стран-членов МЦНТИ штаб-квартирой Центра в 2012 г. на базе авторских материалов подготовлено для представления на КПП-63 пятое издание из цикла «Инновационные процессы в странах Сообщества МЦНТИ» - международный информационно-аналитический сборник «Проблемы современного прикладного материаловедения». Актуальность тематики сборника несомненна, поскольку современное материаловедение, являясь междисциплинарной наукой, призвано обеспечить научно-технический прогресс и устойчивое развитие экономики стран за счет внедрения новых высококачественных материалов повышенной эксплуатационной надежности, способствующих росту и увеличению интенсивности энергосберегающих технологий, расширению сырьевой базы, созданию машин и механизмов с улучшенными характеристиками. В сборнике, сформированном в виде отдельных разделов по странам, представлены аналитические материалы и результаты исследований в области материаловедения специалистов из стран-членов МЦНТИ и его партнеров (Азербайджана, Беларуси, Грузии, Молдовы, России, Румынии, Украины, ЮАР, Словакии и Чехии): научных, образовательных и инновационных организаций, специализирующихся в сфере материаловедения. Важно отметить, что авторы представленных статей делали упор на на материаловедческих проблемах, наиболее близких им в силу развития тех или иных направлений научно-технического прогресса своих стран. В соответствии с решением КПП-61 в первом полугодии 2011 года штаб-квартирой при содействии представителей стран-членов МЦНТИ реализован сетевой проект МЦНТИ – подготовка для представления на КПП-62 международного информационно-аналитического сборника «Проблемы получения чистой воды и инновационные пути их решения» - четвертого издания в цикле сборников под общим названием «Инновационные процессы в странах Сообщества МЦНТИ». Содержание сборника ориентировано на рассмотрение проблем водных ресурсов и получения чистой воды, их мониторинга, правовых вопросов в этой сфере и вклада в их решение со стороны научно-технологического сообщества стран-членов МЦНТИ. В сборнике представлены аналитические материалы и результаты исследований специалистов из сферы государственного управления стран-членов МЦНТИ, научных, образовательных и инновационных организаций, специализирующихся в сфере водных ресурсов и получения чистой воды. В соответствии с решением 59 заседания Комитета Полномочных Представителей стран-членов МЦНТИ штаб-квартирой на базе авторских материалов подготовлено второе издание в цикле сборников «Инновационные процессы в странах Сообщества МЦНТИ» - информационно-аналитический сборник «Экологические проблемы и пути их решения». Актуальность тематики сборника связана с тем, что в последние десятилетия резко усилилось развитие высокоиндустриального общества, и как следствие, опасное вмешательство человека в природу, расширился объём этого вмешательства, оно стало многообразнее и грозит стать глобальной опасностью для человечества. Расход невозобновляемых видов сырья повышается, все больше пахотных земель выбывает из сельскохозяйственного оборота. Биосфера Земли подвергается нарастающему антропогенному воздействию, в рамках которого можно выделить несколько наиболее существенных процессов, ухудшающих экологическую ситуацию на планете. Наиболее масштабно и значительно - химическое загрязнение среды, например, газообразными и аэрозольными загрязнителями промышленно-бытового происхождения. Прогрессирует накопление в атмосфере углекислого газа, что усиливает нежелательную тенденцию по повышению среднегодовой температуры на планете. Вызывает тревогу у экологов и продолжающееся загрязнение Мирового океана нефтью и нефтепродуктами, по оценкам достигшее уже 1/5 его общей поверхности. Не вызывает сомнений и значение химического загрязнения почвы пестицидами и ее повышенная кислотность, ведущая к распаду экосистемы. Перечисленные и еще многие другие факторы оказывают заметное влияние на происходящие в биосфере процессы. Влияние перечисленных негативных факторов весьма актуально для стран-членов МЦНТИ. В связи с этим содержание предлагаемого вниманию читателей сборника ориентировано на рассмотрение проблем экологии и охраны окружающей среды, мониторинга их состояния, правовых проблем в этой сфере и вклада в их решение со стороны научно-технологического сообщества стран-членов МЦНТИ. В сборнике представлены аналитические материалы и результаты исследований специалистов из сферы государственного управления, научных, образовательных и инновационных организаций, специализирующихся в сфере экологии и охраны окружающей среды из стран-членов МЦНТИ и других стран: Азербайджанской Республики, Республики Беларусь, Социалистической Республики Вьетнам, Грузии, Республики Казахстан, Российской Федерации, Румынии, Украины, Южно-Африканской Республики и Итальянской Республики. Сборник сформирован в виде отдельных разделов по странам. В статьях в основном освещаются следующие вопросы и проблемы: государственная политика в странах-членах МЦНТИ и других странах в области экологии и охраны окружающей среды, общегосударственные и региональные проблемы экологии и охраны окружающей среды, государственное стимулирование решения экологических проблем, воздействие человека на природу, экология и здоровье человека и многие другие. Значительное внимание уделяется ознакомлению читателя с основными направлениями практической реализации политики в сфере экологии в странах-членах Сообщества МЦНТИ, выражающейся в разработке технологий и инновационных продуктов в той или иной степени помогающих решению экологических проблем в конкретной стране или ее регионе. В соответствии с решением 58 заседания Комитета Полномочных Представителей стран-членов МЦНТИ штаб-квартирой на базе авторских материалов из стран Сообщества МЦНТИ подготовлен информационно-аналитический сборник «Состояние национальных инновационных систем». Это первое издание в цикле сборников «Инновационные процессы в странах Сообщества МЦНТИ». Его появление обусловлено активизацией в МЦНТИ работ, ориентированных на информационную, организационную и консультационную поддержку инновационных процессов. В сборнике представлены материалы из стран-членов МЦНТИ: Республики Беларусь, Республики Болгария, Республика Казахстан, Республики Молдова, Российской Федерации, Румынии, Украины, из Азербайджанской Республики, вступление которой в МЦНТИ запланировано на КПП 59, а также из Чешской Республики, подготовленные многолетним партнером МЦНТИ – Ассоциацией инновационного предпринимательства ЧР. В сборнике рассматриваются проблемы научной и инновационной политики, представленных стран, обсуждаются вопросы мониторинга развития научной и инновационной сфер, правовые проблемы. Основное внимание уделено проблемам и тенденциям развития национальных инновационных систем (НИС) стран Сообщества МЦНТИ. В представленных материалах достаточно убедительно показано, что появившаяся в начале 90-х годов концепция НИС претерпела значительные изменения. От первоначальной концентрации внимания исключительно на науке и технологиях, как основных факторах, определяющих среду, в которой действуют инновационные предпринимательские компании, НИС стала рассматриваться, как система, включающая в себя все компоненты социально-экономической структуры общества. В сборнике отражены результаты исследований специалистов из сферы государственного управления стран Сообщества МЦНТИ, научных, образовательных организаций, организаций инновационной сферы, которые в основном являются национальными выделенными организациями системы МЦНТИ. Сборник сформирован в виде отдельных разделов по странам Сообщества МЦНТИ. Представленные статьи, комплексно или акцентировано освещают основные вопросы и проблемы, связанные с инновационной деятельностью, например, такие как национальная инновационная модель развития экономики конкретной страны, институциональный профиль инновационной системы, государственная политика в области НИС, ее цели и задачи, направления и этапы преобразования НИС, государственное стимулирование инновационной деятельности. Авторами, представителями разных стран, показана тесная взаимосвязь элементов НИС: малых и крупных инновационных фирм, университетов и государственных научно-исследовательских центров, правительства и региональных органов управления, объектов инновационной инфраструктуры, финансовых рынков и пр. В статьях сборника нашли отражение проблемы взаимодействия государственного и частного секторов в области исследований и разработок, создания условий для развития инновационной деятельности предприятий, в особенности развития инновационного предпринимательства в МСП. Приведены статистические данные по широкому кругу показателей, характеризующих состояние НИС в странах Сообщества МЦНТИ. С учетом специфики конкретных стран одна из главных задач, на решение которой были направлены подготовка и издание сборника, основывалась на том обстоятельстве, что процессы глобализации в современном обществе, в особенности опыт европейских стран по интеграции ресурсов в сфере научной и инновационной деятельности, ведут к образованию общих глобальных экономических и научных пространств. Это означает, что создать эффективную НИС невозможно без понимания мировых тенденций и опыта других стран. В связи с этим появление данного сборника, в некоторой степени интегрирующего опыт, накопленный в странах Сообщества МЦНТИ, является вкладом в решение проблемы создания и развития НИС в этих странах. Первый пилотный русскоязычный выпуск Бюллетеня ИНИС можно получить бесплатно, обратившись в МЦНТИ по э-почте marina@icsti.su , тел. +7-499-1987441 / 1987021 или факсу +7-499-9430089 / 9431511, Офицеру связи ИНИС Тумановой Марине Юрьевне.